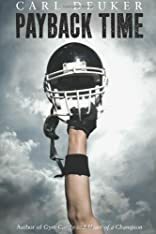 Through the eyes of a distinctly non-athletic protagonist-a fat high school journalist named Mitch-veteran sports novelist Deuker reveals the surprising truth behind a mysterious football player named Angel. When Angel shows up Lincoln High, he seems to have no past-or at least not one he is willing to discuss. Though Mitch gets a glimpse of Angel's incredible talent off the field, Angel rarely allows himself to shine on the field. Is he an undercover cop, wonders Mitch? Or an ineligible player? In pursuit of a killer story, Mitch decides to find out just who this player is and what he's done. In the end, the truth surprises everyone. About Carl Deuker (Author) : Carl Deuker is a published author and an illustrator of children's books and young adult books. Some of the published credits of Carl Deuker include Gym Candy, On the Devil's Court, Runner.